My heart for entrepreneurship runs deep. While I firmly believe in living the frugal lifestyle, one of the key aspects of that frugal lifestyle is experimenting with ways to increase income. One of those options is a home based business. Personally having worked in direct sales on and off since I first got married, I understand the beauty of a home based business option, as well as the power women have on purchasing decisions, which makes direct sales a great option for many. I also know that I would much rather support a real life entrepreneur helping support her family than a face-less corporation, so when Carrie, a home school mom of nine, contacted me about this 31 Gifts Giveaway, I was excited to support her. 31 Gifts motto is to celebrate, encourage and reward women for all that they do for families and others. That could very well be Balancing Beauty and Bedlam’s mission as well, since my desire for you all is to be encouraged in your role as a Family Manager. Since you know how thrifty I am, before I agreed to the giveaway, I scoured Carrie’s 31 Gifts website to make sure I could support their products as a good value. She told me to check out the Large Family Tote for just $30 and once I had it in hand, I was more pleased than ever. I had the opportunity to pick the fabric, and when it arrived, I was shocked at the large size. It’s perfect for my family, and would make an amazing gift since the embroidery personalizes it so well. I’ve only had it two weeks, and already I have put it to use five different ways. When I took our children to my blogging conference, I packed our dry goods for the week in it. Now, I have my stockpile of chips and crackers organized in our pantry and looking stylish at the same time. I asked Carrie to share a bit about the products, “Our products are awesome. They are so very practical and functional. Yet, Thirty-One makes practical and functional, look stylish and modern, and there’s something for every woman and every budget! Whether you are going out on the town, going to work, or heading to the beach with the family, there is a bag or accessory for you! One of our purses, in particular, is unique in the fact that you can change it’s appearance without ever having to empty the contents. Talk about quick. Our skirt purse is the master at “the quick change”. By simply unsnapping 4 snaps, unhooking 8 little hooks, the “skirt” comes off. Then just slide the new skirt on, rehook, resnap and VOILA! you have totally changed the outside fabric on the bag. On page 7 of our catalog, you can see a picture of this amazing bag. This week, Carrie is donating a $50 Gift Certificate to her 31 Gifts website. She would love to talk with you more about earning extra cash by sharing these unique products through a home based business opportunity, hosting a catalog show, or just email her,carriejheard@yahoo.com, for answers to your questions about some great gift giving options. How Do I Enter to win the $50 Gift Certificate? There are multiple ways to enter, but only one entry is required. If reading by email, please do not respond to me directly, you must click over to my blog to enter. * Be sure to enter a separate comment for each method of entry.. You may leave up to three separate comments. 1. Comment (required) – Click over to Carrie’s 31 Gifts website, and share what you’d get with the gift card. 3. Friend my Balancing Beauty and Bedlam Facebook Fan page for an additional entry, and let me know here that you did. Entries for this giveaway will close on Monday, Feb. 14 @ noon EST. The winning entry will be selected via random.org. The winner will be contacted directly and must respond within 48 hours or a new winner will be selected. I would love one of the totes or a new skirt for my purse. Wow! They have so many cute items! I would probably get one of the organizing totes to use as a diaper bag… Or the matching mother/daughter aprons because they are adorable! There are SO many great products! I’d probably go for either the cute grocery bag, or the personalized stationary-I’ve run out! I LOVE that pattern and have the small insulated tote in it already. I would get some personalized stationery…I’d use that all the time. I would love to have one of the big totes! I love the organizing shoulder bag. Thanks for the giveaway. I would love to order one of the utility totes or picnic totes. I love all the fabrics and would definitely get it monogrammed! I “like” your blog on Facebook! I love the interchangable purse and the grocery tote. Hard to pick. And then the fabrics…oh my! I love the XXL Everyday Tote! I love the rolling tote – perfect as a carry on for international travel! I think I’d add a cute scarf to personalize 🙂 I also love the addition of the baskets…and the totes are ALWAYS winners! I’d love that large family tote. I LOVE LOVE LOVE the large tote! I really like the large utility tote and the retro metro bag! I love a lot of the products so it might be hard to decide. I would get a large utility tote! Love 31! I love the Albany bag! Oh, I have a long list. I think I would get either a toddler backpack for my youngest or another square utility tote for my oldest’s growing Lego collection. But I like the new giant thermal tote, too! I “like” your FB page! The about town blanket is really neat! Oh, I would get the Large Utility Tote- I can see it now in my trunk! I would get it in the Paparazzi Dot or St Andrews Garden. I might add a Littles Carry-All Caddy too! too much to choose from but if i have to i think i would really like the hang up wall organizer. I love all of the beach bags! I subscribe via google reader, too. love the blog and the 31 stuff! I would love the large family tote- thanks for hosting the giveaway!! Love the large utility tote… would make a great toy storage container for my car to keep the baby occupied! I would get two of the thermal totes – one for my own lunch and a larger market tote. They are all so cute – hard to choose a pattern! I like the XXL everyday tote. I also get your daily e-mail. That large family tote looks amazing! i would love to have the large tote and/or beach bag/cooler for all our camping/traveling. I’d love the large tote! Anything to help me stay organized is great! I follow you via email too! I’d like to get one of the lovely large totes, baby #3 will be here soon, so I need get more organized. Thank you! Ohh… I have been wanting the large family tote! LOVE IT!! i follow via email too! The cosmetic bag looks lovely! wow- SO many cool things! The large family tote looks like it would really be helpful. I really like all of the baskets too! I would love to have the large picnic tote! Oooohhhh. so many goodies! I think that Large Utility Tote is pretty awesome & would love it in the circles/polka dot pattern. And I would also love one of the All-in-One organizer or another one of the Thermal Totes…I have one of those & love it! I’m a follower on Facebook…thanks! I’m also a subscriber to BB&B in my Google Reader…thank you! ooohhh I love P31. I have a couple of items but still have my wish list that i made last summer. I would love another large tote. I’d love to get the medium magazine basket. It’s so cute and versatile. large utility bag!! or a sling bag or . . . or. . . or! !it will be hard to decide!!! I’d love to have one of the organizers, or a handbag – you can never have enough of those! tote! Such cute stuff! Enjoyed looking! I would definitely get one of the large utility totes to put in the back of my van to keep all of our “stuff” from rolling around while I’m driving!! I would love to have one of the cute cosmetic bags! Thanks! What a great giveaway! I think I would choose the Organizing Utility Tote – or 2! In St. Andrew’s Tartan to organize the junk in our mini-van! Your posts fill my email inbox daily! I love it! I subscibe via google reader. Oh, man. With two under two, I normally just toss my wallet in the diaper bag! I’d love the Albany bag with a fun scarf for when I go out without the babes! An apron would be super fun, too! I subscribe in my Google reader, too. And I like you FB! I love the 31 gift small thermal bag – use it on days when we are out and about and have lunch out especially in the spring/summer. I would probably choose the Albany bag or fitted skirt bag. All their stuff is cute! Love the totes, could do a lot with those. Great giveaway. 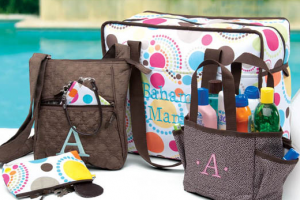 I have just recently been introduces the Thirty-One products. I’d get the rolling tote. I was just looking at the 31 website earlier this week and drooling over their things. They’re so pretty and practical!! I think I would choose the Retro Metro Bag in the Navy Mod Dot. I have a friend who has one in the grey dot and it’s sooooo cute!! I know I would use it all the time. Thanks for the chance to win one! I subscribe to your website. I could use the Large Family Tote. It looks pretty useful! That paisley tote that you got is gorgeous. I would have such a hard time picking what to get!! Love them all!!! So many cute things. I like the Organizing Utility Tote and Market Thermal Tote for the beach or a picnic! LOVE the large utility bag. With 3 kids, sports, toys and snacks to tote around, that would be great. Thanks. I like the tall utility bin. Am a subscriber already – great giveaway! Thanks! Love the purses with the skirts that can be changed. Would use the gift certificate for one of those. I think one of these would be just awesome! I’ve been following for a while and I just love your site! I would love anything from those really cute baskets to a simple purse. Everything is so cute. This is such a wonderful idea. I subscribe and would LOVE it if you would install the mobile plug-in for WP too. I love the purse pictured above actually. The skirt idea sounds great for purses! In fact, loved the whole catalog!!! The fold and go notebook would be great. I love it all, but I think I would treat myself to a new pocketbook – probably the skirt one. My sister has one and LOVES it! Thanks for the great give away! I love the city weekender tote. It would be great for when I’m travelling to see my son who is in college. I subscribe to your blog using Google Reader. I love the retro metro bag, but I also have my eye on the large utility tote and the organizing utility tote! Wow, the products are really nice. 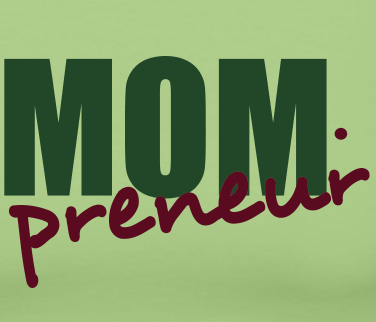 I am proud of the powerful entrepreneurial woman that create. Kudos to you. I love the jewelry roll and pouches, as well as the skirt purse and the shirred wallet…I also like the Medium purse and the Hang up Home organizer! I would choose the all-in-one organizer for my never ending pile of things headed to and from school. I need the organzing utility tote, for sure. Love the patterns. I would love a large insulated cooler for family picnics. Loving the big bag that you got…I love large totes! I would get the hang up home organizer. I would get the Hang Up Home Organizer! I love their Albany bag – so cute! I would love a large tote! I would love an organized tote! The picnic totes look awesome. So many things to choose from… I’d probably get a large tote! I would put it toward the Cindy tote!! So cute!! i love all the fun patterns…i like the aprons for mom and daughters, and im a sucker for baskets!! and a fb fan! thanks! I would love to get their Medium Purse. I would use it as a purse/diaper bag. Probably the large utility tote. So many cute things though. I would choose the large tote and use it as a diaper bag. I would get a utility tote or thermal tote, or large tote to use as a diaper bag! I’d get the utility bag to hold multiple sippy cups!! I am your fb fan!! I would love to have the Large Utility Tote to keep in the van as a catch-all. What a great organizing tool! I would get the Large Family Tote..It would be great to carry as a substitute teacher. After looking at the site I’d love to get both the Large Utility Tote & Square Utility Tote…hope I win so I can organize toys a bit better! I would do a larger tote to help carry all my books to Classical Conversations each week! I love the large family tote. WOW, I don’t even know where to begin. I LOVED it all and it would be hard to choose. I did really like the style of the coin purse wallet in the free spirit floral. Also, like the baskets and the Cindy tote. I wouldn’t have a problem spending the $50 giveaway, I can assure you. Thanks for sharing Thirty 31 with us. I am your friend on Facebook and follow you on there. I also receive and read your email newsletter. Thank you. I really like the magnetic easel board. I have been looking at 31 bags for awhile. So many choices, hard to choose! Do think a wallet would be on my list though. I have a big family so big bags are nice. I would love to get a Cindy tote!! Really like the Large Rectangular Basket and the Toll Utility Bin…definitely something for the house (and large for the kids to throw their stuff in). I would get a skirt purse! I already get your e-mails daily! I liked you on facebook with comment. I love the products. The large tote is really roomy. and the lunch totes (lrg) is great. I love the Bon Appetit on the apron- or maybe a new purse! Their stuff is too cute! I lke the picnic thermal tote…perfect for the beach! i like the large utility tote – it would be so nice to have a stylish reusable bag! Organizing utility tote is my favorite. Hmmm… It all looks so good. Maybe the Tote-Ally Awesome Beach Tote, or the Organizing Sholder Bag, or the Large Utility Tote. There are so many nice things. I like the Large Utility Tote in the Saint Andrews print. I love the large Utility tote. It would be nice to use for toting snacks to my son’s games instead of the laundry basket I currently use. Love the hang up organizer and XXL tote. Might have to get both!!!! I get your emails ………. LOVE THEM!!! The elite skirt purse, or maybe a tote–too much to choose! I like the Large Utility Tote, I would get it in the circle spirals. I already subscribe to your site through email. I am a friend on the Balancing Beauty and Bedlam Facebook Fan page. 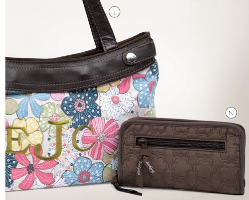 Love the large utility tote in floral celebration!So cute!! The fabric lined wicker baskets. I would get one of the thermal totes because I’m tired of carrying my lunch to work in a plastic Wal-Mart bag!! It would be hard to choose! I love the big totes and the thermal tote. I subscribe via email and I love it!! I am a facebook fan as well!!! I would love the large utility tote or the organizing utility tote. Thanks! I would love to get the little purse that you can change the skirt. Sooo cute! I would get the metro retro bag. I subscribe via Google Reader AND like you on Facebook. 🙂 I’d love one of those skirt purses (soooo cute!!) or the family home organizer! Well, I have the insulated lunch tote and LOVE it! So, for future purchases I’ m thinking a purse…or the large family tote…or..oh the possibilities are endless. With 4 kids in sports we are always chasing someplace and a tote is a requirement for all the “necessities” that come with us. There are some nice organizing baskets I might get on page 10-11! I have purchased the small lunch tote and I have enjoyed using it on a daily basis. Their stuff is really nice and really easy to use. I clicked on the like button for your Facebook page also. HAVE to have the Retro Metro bag and the XXL tote!!! So many cute things!!! I like the metro retro bag! I would definitely choose the storage tote. I can think of a million uses for it already! I would get the Albany Bag. I subscribe to your posts by email. Just set up a RSS feeder and added Beauty and Bedlam! I would get the retro metro bag for my teenage daughter. Wow! So hard to choose. I love the large utility tote and since I’m so into aqua blue right now I think I’d even get the same design you have. 31 parties are new in my area so I haven’t been to one yet. I follow via email…love your blog and Thirty-One products!!! I love the large utility tote and the thermal tote! I would get the hang up on the go organizer! I love the large utility tote – perfect for days at the park and trips to the library! I’m an avid subscriber to your blog!! I love the family tote and could really use it as I try to do w/o plastic bags and go green! I would get a cinch-top bucket bag! I receive your emails and love reading them! I like the paisley peacock pattern. I already follow you on RSS. Hard to choose as I need totes for all the kid gear – probably the large tote would be my choice. I subscribe by email, Jen. I like the all in one organizer!. I think I have to go with the About Town Blanket because each time it was pictured I stopped to look at it! A lot of the baskets are really cute as well and I love the range of sizes available on all the totes. I would love one of the organizing totes to use as a diaper bag. I received an embroidered 31 bib for my daughter as a gift and it is of very high quality- a definite keepsake! Organizing Utility Tote… the outside pockets would be great for transporting small items and plenty of room to stand up big items inside. I have a new grandbaby….she is my first and my little lovee….I would love a fab bag to carry when I am watching her to put her little duds and accessories in……awwwww…….too cute! I would get a tote for use as a diaper bag. They have such cute ones to choose from! I am a FAN on Bookface…I Mean Facebook! The utility tote would be so functional for my family but would also love a cute little lunch bag to bring to work. OH my – too many cute ones to choose right now! I like the classic and carefree series. I would probably get some type of tote to use for a diaper bag! Love it! An organizing tote would be great. LOVE the retro metro bag!!! I <3 polka dots! I’d have to say that the Utility totes are my favorite – but the Hangup organizer did also catch my eye. I’ve friended you on Facebook. i like the large blue utility tote! bb and b facebook fan!! I’ve been wanting a Fold and Go Organizer, I’d also love an about Town blanket, Square Utility Tote, large utility tote and my list goes on and on! I would get the hostess apron. I would love to have a lrg lunch tote and a large tote. I bought one of each for Christmas gifts and wanted to keep them for myself.I haven’t found the money to get them for myself yet, but I am still working on it. I would really be happy with any of them i really like the look of them all. Too many to choose from! One of the purses! I’d love to get something special for a lifetime friend (35 years!) who has decided to take me to NY City to celebrate her 40th bday!! Please enter me to win I love the large totes and lunch totes! Cute patterns! I would love a skirt purse or a tote! Love their stuff! I like the market thermal tote and the organizing utility tote! This is a exciting giveaway. I love the tote bag. I really like item N on pg 10-11. I like the large utility tote. Awesome products! So much pretty stuff to choose from. I like the organizing wallet, and I’d like to have a couple of the Organizing Utility Totes to..organize things. I LOVE the Large Family Tote – perfect for shopping at Aldi’s! I also LOVE the Hang up Home Organizer! I follow you on facebook and so this giveaway there! Wow, there are so many great things to choose from that it would be really hard to pick … maybe the magnetic easel board?! I like the Collapsible cube or the large Utility Tote! A tote! A girl can never have enough totes! I don’t just like you on Facebook, I love ya! I would LOVE one of those Large Family Totes! I like the large totes and the thermal bags. Would love to win one! I love the Cindy tote, the weekender tote, the beach tote and the large thermal tote!! How do you choose? I have a lunch tote and love it. I LOVE 31 products! I would get the Hang-up Home Organizer! I love all of it, but especially this Fitted Skirt Purse Collection. They’re all so cute! Thanks for the giveaway! Wow! There is a lot to choose from. I think a couple of my favourites were the insulated tote and the All-in-One Organizer. So many cute items! But the skirt purse and magazine baskets are jumping out at me! I’ve been a Reader subscriber since last fall! Love the skirt purse and magazine baskets! I love the large utility totes, the storage, and the thermal totes! I also need a new lunch tote!! I love their stuff but have never actually bought any. I would get one of the bigger items that would work well for packing for trips! Perfect timing to read your blog tonight! I just got home from a 31 party and have 4 items on my “want” list. I’d probably get the organizing utility tote and the large thermal tote for soccer season. They’d be a great help! Pretty sure I would get one of the skirt purses (like the new pleated ones a lot) or a tote. Or I might surprise myself & end up getting something totally different LOL. It’s all so cute! And I’m a Google Reader follower! So many beautiful items-it would be hard to choose. I think I would like the skirt purse. Love their City Weekender Tote. That would be my choice. I would love the large utility tote. I would love a big tote or the wall organizer. Oh def the Cindy tote! I like taller bags that’ll stand upright. I looked through the whole catalogue. I love how pretty they make the functional products look. I would choose a Large Utility Tote and an Organising Tote. I subscribed via Google Reader. Before, I just visited my bookmarked page! I enjoy your blog. One of the thermal bags would be wonderful for trips! 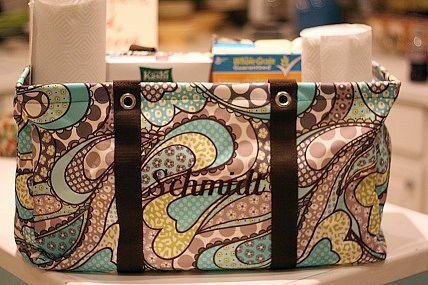 I would love one of the all-in-one utility totes in the mod dot fabric – so cute! I’d like a large utility tote! Hi, I just subscribed! So much to choose from, I guess I would pick one of the organizational bags, something neutral so hubby doesn’t mind carrying! The Lil’ Expressions Tote. Its adorable and would be great for trips into town. In a heartbeat, I would choose the hostess apron in the apple blossom print. 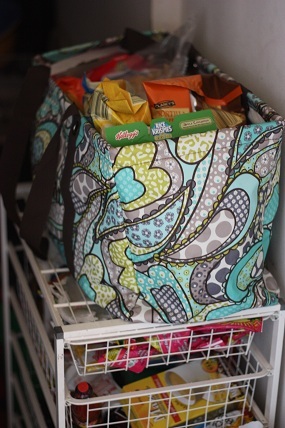 I would also choose the organizing utility tote in the Garden Bloom print, so *love* that fabric!! I would get an organizing tote. I would love a large utility tote or one of the diaper bags. I have 3 little ones 3 and under and it is very difficult to find a large and functional diaper bag! I really like the utility tote in paisley that you picked out. I have been hearing about his company ALL OVER the web! But, there is not a rep in my area. So, a gift certificate would be a great way for me to try out these products! I would choose the rolling tote in brown! I really need a wristlet! I would love the large utility tote! I would love the large utility tote for the playground! These are so cute. I subscribe to your e-mails. Just subscribed through google reader- I would love to win and I would pick one of the utility organizer totes! I would get the cinch top bucket bag in free spirit ditzy, or the toddler backpack in mechanical geo for mylittle guy! I’d love the retro metro bag or family tote. Hard decision, fantastic giveaway! I would LOVE the large family tote! I could finally get rid of the ugly black bag I use for the kids wrestling tournaments! Everything is so cute on this site. I would get the thermal tote for getting groceries or going to the farmer’s market in the summer time. I’d be tempted to get one of those cute diaper bags. I love the Draw string Bucket Bag. And all the new spring fabrics! I really like the large utility tote. I would get a couple of all in one organizers. There are many great items in the catalog. I absolutely LOVE 31 products. I’d love to have the Picnic Thermal Tote for taking along to ball games. Or the large utility tote to organize the trunk of my SUV. Or for myself, the Organizing Shoulder bag. Any or all of those in the black and white print… or maybe the red. Entry #2– I just subscribed via Google Reader. All look great! I’d start with the utility tote. I love the Retro Metro bag. That’s what I would get! I also “Liked” you on FB. I would love to get a new insulated lunch bag. I love these bags. I like the large utility tote or the organizing utility tote. I email subscribe to your website. I became a friend of your page on facebook. Love that large utility tote…and everything else in the catalog! A thermal tote would be great to have! So many great products to choose from though! That big tote would be so nice for carrying groceries out of the car! Would love to have a big bag like that to put food in! I would get the market thermal tote or the thermal carrier. These would be great for our road trips! I LOVE the city weekender tote – in onyx medallion! New facebook fan! Left comment on wall. I really like the skirt purse! I would pick the short utility bin in apple blossom for toy storage. Love the Organizing Utility Tote and the Wristlet, among many others!!!! I need the market tote and the thirtyonebrella! I would pick the large tote. Endless uses! I would use the hang up home organizer. Talk about useful! I came over from Life As Mom. I have signed up for your email. So excited to have found you! I checked out 31 gifts and as a family with three little kids I think I would most want to try the large family tote. I could use it in SO many ways. Perhaps the organizing wallet-very hard to choose! So much cute stuff. We always need storage, so maybe the storage totes or a utility totes. I also love the stuff in the Oh Baby collection or Little Girls Kids at Heart collection. So many choices. I really like the utility tote! I like the Retro Metro Bag…great giveaway, thanks. I think I’d like the pop crossbody. I prefer a sholder strap, and zipper… and this appeared to have both. That or I’d also like the one that you can switch the skirts on them. I would LOVE to buy the utility tote! I would love one of those big family totes with our name on it…. I subscribe to your site. I would love to get the cosmetic bag in Onyx Medallion. I would get the thermal tote for all of our road trips! I am already a facebook fan of BB&B. I’d probably get a small thermal tote to carry my lunch in and an organizing tote. The large tote looks awesome – I would get it in the circle pattern. But there are so many cute items it would be hard to choose! I really love the large tote you got, and I also love the hang up organizer! So many things to choose from, very tough decision! I love the thermal tote and the big family tote too. So many pretty things! I am a fan on facebook! Great Giveaway! I already follow you in RSS feed. I also already LIKE you on Facebook! And I’d choose the Organizing Utility Tote in Floral Celebration. I love Thirty-One Gifts!! I would choose the large utility tote to store all my daughter’s toys in the family room. I’d like a new wallet and a mini-organizer! I would love a tote! I would love to get one of their skirt purses! I liked the organizing utility tote…but wow…there is so much to choose from! I’d love to get the Hang-Up Home Organizer (among many other great ideas–She packs a lot in that catalog. Doesn’t she?). I’ve been wanting those cute little mini zipper pouches! I would love to have one of the Large Utility Totes! I love 31 Gifts!! I would love an organizer tote – the utility and mini, plus a skirt purse! I just signed up to your site through my reader.! Thank you! I love those bags. Thanks! I just want to say I am beginner to blogging and site-building and definitely liked you’re web blog. Very likely I’m going to bookmark your website . You really come with wonderful stories. Thanks for revealing your website page. Thanks. I just responded to your email.